After an automobile accident left me a quadriplegic, I was determined to overcome adversity and succeed despite the odds. After an intense period of overcoming my physical challenges, I put this same mindset and grit into action as I entered the Insurance and Financial Industry. Within five years, I was awarded membership in the prestigious Million Dollar Round Table (MDRT) as a top producer for commission-driven sales. From there I realized I could accomplish anything I had the vision to undertake. Today, I am honored to bring my message of vision, determination and grit around the globe as a motivational keynote sales speaker for the medical device and pharmaceutical industries. In its MedTech Dive report (December 14, 2018), Moody’s projected a positive 2019 outlook for the medical device industry. Moody’s estimates a growth of between 4.5% and 5.5% with sales in emerging markets expected to grow into the double digits. In 2016, the medical device industry was valued at about $148 billion and has exploded to $173 billion this year. Of the 6,500 companies in the industry, about 80% have 50 or fewer employees. Does this growth mean that medical device companies can afford to be complacent? Hardly. Unless companies innovate quickly, they could get pushed aside. Before I was involved in my accident, I was a martial artist and Division-1 football player. I took my health for granted. 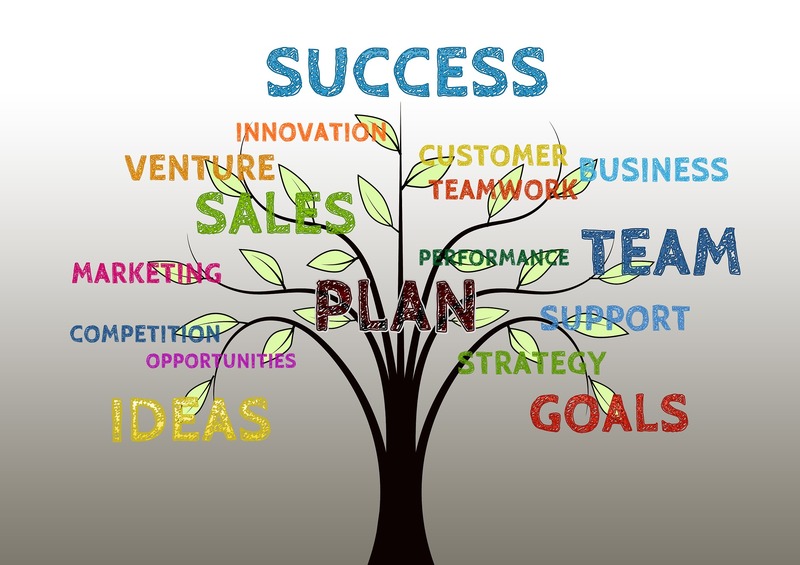 In an industry showing healthy growth, it is also easy to take continuing success as an unquestioned fact. Despite the optimism, medical device industry experts point to several warning signs on the horizon. The experts warn that companies must anticipate new FDA regulations which demand greater accountability, higher performance standards, more complex rules for reimbursements, and an ever-increasing competitive outlook. In one way or another, every one of those 6,500 companies are out to take a piece of market share. It will take increasing determination for companies to separate themselves from their competition. Does your company have the GRIT? In February 2019, the Strategic Information Group, a medical consulting firm, reported on the medical device industry. The firm pointed out that the market dynamics of the industry are in constant change. Companies must strive to reduce costs and streamline operations. There are device companies around the world constantly looking to capitalize on markets and leverage partnerships to their advantage. Medical device companies must have the grit to innovate and to understand what makes them unique. They must overcome change and the adversity of competition, regulations and an ever-complex reimbursement structure. However, companies aren’t just like people, they are people. Everyone on the team must rise up from complacency and never assume that the rules for success don’t apply to them. Companies are exceptional because each employee on the team makes them exceptional. Whether the medical device company has less than 50 employees or more than 5,000, the challenge is to possess a David versus Goliath mentality, to never give up, and to overcome the hidden challenges. Posted in Adversity, Grit, Healthcare, Medical Devices, Pharmaceutical Sales on April 9, 2019. There is no higher mission for creating a dynamic workplace than to engage every member of the team. Team members need to understand their purpose and how they fit into the company. If they can answer “WHY am I important to my team?” it will empower them and boost their performance to new levels. Scott Burrows, a dynamic motivational speaker on team engagement, teaches organizations how to motivate work groups to outperform their competition. Scott’s unique three-pronged strategy of VISION, MINDSET, and GRIT energizes employees to understand how vital they are to the success of any company. When teams interconnect and share common goals and dreams there is no limit to what they can achieve. Posted in Grit, Mindset, Motivational Speaker, Vision on February 5, 2019. Posted in Goal setting, Grit, Mindset, Success, Vision on January 14, 2019. Posted in Grit on April 2, 2018. Posted in Grit, Mindset on March 10, 2018. Why is it that people with more resources and more innate ability to perform well at something are unsuccessful at doing so, while others less gifted race toward the finish? The difference lies in the tendency to sustain effort and interest in their goal—in other words, grit. Posted in Grit on February 1, 2018. In my book Vision-Mindset-Grit, I wrote… “While I was an agent with Northwestern Mutual Life between 1989 and 1994, I had the privilege of watching many motivational speakers at their annual conference in Milwaukee, Wisconsin—speakers such as Terry Bradshaw, the famous Pittsburgh Steelers quarterback, and Charlie Plumb. Charlie graduated from the Naval Academy at Annapolis and went on to fly the F-4 Phantom jet on 74 successful missions over Vietnam. On his 75th mission, with only five days before he was to return home, Charlie was shot down, captured, tortured and imprisoned in an 8’ x 8’ cell. He spent the next 2,103 days as a P.O.W. in communist prisons. Long story short, in 1989, I stretched my vision. I wanted to qualify for an industry award. They call it the Million Dollar Round Table (MDRT). It’s an award that fewer than 8% of my peers from around the world qualify for annually—peers representing 500 companies in over 70 countries. It took me 5 years to hit that magical number and qualify. When you’re trying to hit a magical number in your own life or business, or are hoping to qualify for an industry award, there’s one criterion: You have to have the right mindset. But what is the right mindset? It begins with an unshakable belief in who you are on the inside when no one else is around. It’s what you believe about yourself, your abilities and your skills especially when adversity is standing right in front of you. Adversity takes on many forms: the physical, such as a debilitating handicap or illness; the mental, such as low self-esteem or a lack of knowledge; and the emotional, such as depression, fear or others telling you you’re not good enough, smart enough or resourceful enough to achieve the goals you’ve set for yourself. Any one of these can be powerful enough to thwart your ambition, which is why it’s imperative to lock in a mindset that will help you to achieve the level of confidence you need to face them down. You may never fully conquer a fear or recover from a physical setback, but the right mindset, one that works for you, will still let you move forward toward your goals. I’ve discovered that through personal experience time and again. Attending the MDRT’s Annual Conference in 1994, in Dallas, Texas—with 8,000 of my peers on hand, the best of the best top sales producers in the world—I again had the opportunity to watch some amazing keynote speakers on leadership and team building, dynamic men and women who encouraged others to set goals that stretch the mind. That was when I made the decision to leave an industry I had so much passion for to pursue a brand new career: motivational speaking. This career has taken me around the world and placed me in front of audiences from every industry and so many wonderful cultures. It’s been eye-opening, heartwarming and overwhelming. I made that dream happen, but I’ll tell you, there’s been one other goal that’s stuck with me for over twenty years now. I’ve always to have the opportunity to be a keynote speaker for the Million Dollar Round Table, just like those who inspired me back in 1994. Well, that dream has finally turned into a reality. In February 2018, I will be the main platform speaker for the MDRT in Thailand. I am honored—and beyond thrilled! Don’t ever give up on your dreams, goals, hopes and aspirations. Don’t ever give up on yourself! Posted in Grit, Mindset, Vision on November 16, 2017. You must have had one of those days where no matter how hard you rack your brain and will yourself to be creative you end right back at square one—which is absolutely nowhere. Posted in Grit on September 4, 2017. As a Motivational Keynote Speaker, I have been invited to speak to different industries, associations and Fortune 500 companies around the world sharing my success strategies that revolve around Vision-Mindset-Grit. Three simple yet powerful words that, when put into action, can absolutely help you conquer your goals and push the limits of what is possible regardless of the challenges standing before you today. Vision helps you set manageable but far-reaching goals. Mindset allows you to stay focused on those goals by making adjustments as circumstances, personnel and other elements change. Grit is the everyday determination and willingness to persevere and be resilient in your pursuit especially when all else beckons you to throw in the towel, or worse, stay in your paralyzed state, your comfort zone while maintaining the status quo. During a keynote, I typically use my own life-changing story as the backdrop to bring the concepts of Vision, Mindset and Grit to life. Lately, I’ve been encouraging my attendees to Reflect back on their own lives and experience self-awareness, to Reflect back on how far they have come, on the choices and decisions they have made, the challenges they have overcome, as well as the contributions they have made to their organization, other employees and members of their team. In doing so, I have found that Reflecting is a Mindset technique that can help you tap into your inner strength and be more productive while keeping your Vision clear and always in the forefront of your thinking. Due to my physical handicap, I cannot ride a traditional bike; however, with new biking technologies and modifications I’m able to ride a hand-cycle, which is a 3-wheeled bike. It’s aerodynamic, sits a few inches off the ground and can now be seen by Paralympians using it to compete in distance runs at the Paralympics. When I bike, I enjoy letting my mind wander. On one ride, I found myself Reflecting back on some of the choices and decisions I’ve made in my life. In doing so, the words leaders leading leaders kept speaking to me. My mind drifted back to 1983, when I was 18 years old and playing college football as a walk-on wide receiver at Florida State University under head coach Bobby Bowden. During that season, I noticed that Coach Bowden was a delegator who led from the bottom up as opposed to the traditional top down. He would encourage assistant coaches and frontline players like me to take charge and lead on and off the field and challenge each other, day after day, to perform to the best of our abilities. It proved effective and became a powerful life lesson that I teach and have incorporated into my everyday existence. That reflection triggered another memory that I consider to be one of the most defining moments of my life. On November 3rd, 1984, while a sophomore in college, a bunch of us planned a weekend on those gorgeous white sand beaches along the Gulf of Mexico, at a place known as St. George’s Island. We arrived around 8:00 PM, set up our camp, built a fire, started drinking (as the drinking age in Florida was 18 back then) and telling story after story with our best teenage hormonal sense of humor. As the hours passed, my friend Ed challenged me to a foot race. Being competitive, like you, I stood up to the challenge and bent down into my running stance waiting to hear “GO!” Imagine right now hearing that word echoing in the air and the first thing you can feel is the cool night air blowing through your hair, and with each step you can feel sand Gritting between your toes, and as you lean across that imaginary finish line you can even taste salt in the ocean breeze. That run turned out to be the best, but I could have never imagined that it would be my last. After that run, we walked back to camp. Waiting for us was another friend who said, “Do the two of you mind taking a ride down the beach to find some more firewood to keep our bonfire burning throughout the night.” We said, “Sure, why not!” And it wasn’t long thereafter that it happened. On our way back, in a car loaded with wood debris on a dark, otherwise empty road, Ed lost control of the wheel, ran off the road and crashed into a mound of sand. The impact sent the car hurtling into the air before tumbling back to earth end over end. In that one moment, everything about my life was forever changed. Ed survived with minor bumps and bruises. I, unfortunately, broke cervical 6 & 7 vertebrates in my neck and suffered a serious spinal cord injury that left me paralyzed from my chest down and diagnosed a quadriplegic. As I was fighting the fight of my life in hopes to turning an impossible dream of walking again into a reality, the oxygen levels in my red blood cell count unexpectedly plummeted and were dangerously low. Sometimes in life we have to make quick decisions, don’t we? But why can’t we make more decisions quickly? Why do we have to think and worry so much? This goes back to Mindset. What is Mindset? If you think about it, it’s really your own philosophy of life. It’s how you see things through your own experiences. Most importantly, it’s how you respond to a new unexpected challenge, your next setback or perhaps the changing landscape of your industry or organization—or your competitors and the products and services they offer. For me, I came to realize that this doctor was giving me the opportunity to stand up to the challenge, metaphorically speaking. If I was not willing to muster up every last ounce of Grit I had in this paralyzed body, I would be risking even more. So, I’ll have you know that those 24 hours fighting for every breath turned out to the longest hours of my life. When I crossed that imaginary finish line I came to believe you cannot always choose the precise outcomes of the choices you make, but you can take ownership over whatever results occur. Then and there, I made the decision to take ownership over what had happened to me as opposed to blaming Ed, especially considering that we were both drinking. It’s really no different than anyone—perhaps you—accepting accountability and responsibility versus playing the victim and blaming someone else, like someone on your team, your competition or the markets or the economy, when things don’t go as you planned. This was not only a turning point in my life, it became my defining moment. It gave me the resiliency to stand up and fight to walk again. Kim has heard me speak a dozen times. When I’m through, we often have a conversation about the organization I spoke to and, when prompted, she offers me her feedback. One day, she asked me to email her a copy of my latest keynote so she could go through it while the presentation was still fresh in her mind. A few days later, we reconvened. Armed with notes and questions, she asked about my family, my upbringing, my involvement in sports and more details about the auto accident I was involved in that changed my life 32 years ago. She also wanted to know more about Ed, my friend who was driving the car at the time. This conversation continued for hours—and days. It was not the most pleasant experience, truth be told, and I found myself emotional and vulnerable at times. The more open and vulnerable I became, the more heart-wrenching the questions grew. After some Reflection, I made the necessary adjustments—just like back when I was working with speaking coach Lou Heckler, an expert in presentation and organization skills. It took time to digest everything, and it took courage and Grit to deliver it confidently on stage. As I did, however, I was happy to see that I was connecting with the audience on a deeper level than before. People were more engaged, laughed harder and became emotional in new places. The Power of Reflecting has been a very useful tool to help me understand where I’ve been, what I’ve learned and what I can improve upon. It has allowed me to tap into my inner strength during times of adversity and push the limits of what is possible in both my personal and professional life while putting my concepts of Vision, Mindset and Grit into action. So, remember to take the time to Reflect! Posted in Grit, Mindset, Vision on July 11, 2017. “If it had teeth it would bite” was a quote that my mom would often tell me after I frantically searched for something I couldn’t find. Mom always stepped in and usually found whatever it was in less than a minute. So the thing that seemed to derail me was right in front of me the whole time. What would bother me the most, aside from her finding the item instantly, was why couldn’t I find it myself? Were her eyes different than mine, as if mothers develop this razor-sharp sonar because they are forever searching for lost toys, favorite socks, jewelry or a snuggle blanket for their panicked kids? Whatever the case may be, I was always happy to get back the missing item — you know, the thing that, at the time, seemed like the most important thing in the world. Or was I? What I have learned over the years is that finding those lost items, which in many instances are right under our noses, applies to most things in life — physical objects, an emotion, an idea or a VISION. Sometimes the things in life that we have been searching years for are right in front of us. But why don’t we see them? If we just took the time to really understand what it is we are looking for or fighting for, we’d often discover the answers right in front of us. 1. Stop, breathe, clear your head. 2. Know what you are looking for or fighting for. 3. Decide whether or not the search or cause is truly worth your time and energy. 4. If so, go all in, not half-way. 6. Realize that some things may no longer bear the packaging you put them in, literally and metaphorically. 7. Be fully prepared to look for or fight for an object, an idea, an emotion or your Vision. We all experience similar, frustrating derailments in our everyday lives. You may be looking for something larger and more profound than a rubber band, such as a new job, artistic expression, stronger relationships or more enriching personal goals, but the approach remains the same. It reinforces the importance of having a clear VISION (knowing what you’re looking for), MINDSET (readjusting your attitude) and GRIT (searching with conviction). Posted in Grit, Mindset, Vision on April 18, 2017.